WineCruzer Wine Carrier Case with wheels will hold Eight (8) 750 ml wine bottles. 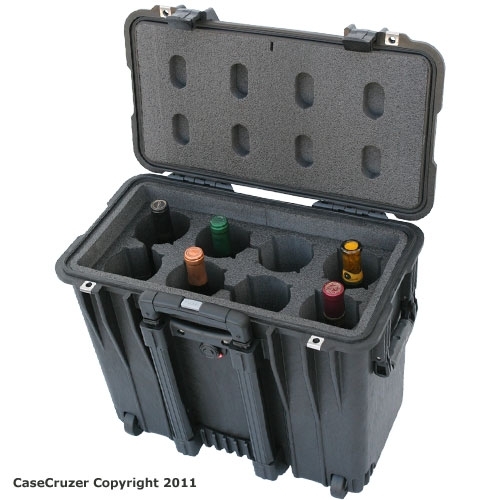 Case is designed for travel. Usually ships in 1 to 2 business days.